President Rodrigo Du30 said they began to look for the outgoing Department of Foreign Affairs Secretary, Alan Peter Cayetano’s replacement. This is right after the latter revealed his plan to vie for a seat in the Congress again. The President said that United Nations Ambassador, Teodoro “Teddyboy” Locsin Jr. might take Cayetano’s place. Locsin replied by saying that he accepted Du30’s offer. Locsin, a lawyer, politician and former journalist, had served as the representative of the 1st district of Makati from 2001 to 2010. He talks highly of the president. He said that he can trust Du30’s decision since his uncle Chito Ayala also trusted him. 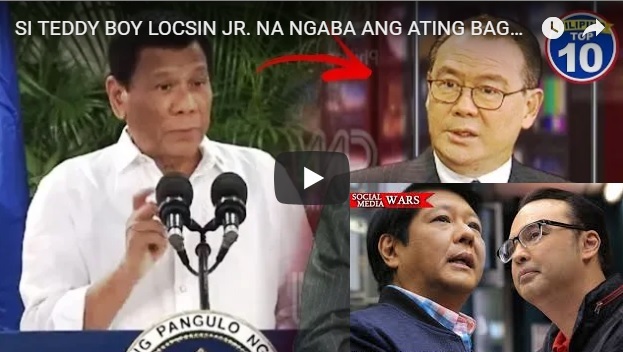 Locsin believes in the Philippine leader’s wisdom when he was first appointed as the Philippine Representative to the United Nations. Meanwhile, Cayetano’s Bali trip with the President for the ASEAN Leaders’ Gathering would be his last overseas travel as DFA secretary. After filing his certificate of candidacy next week, Cayetano said he would not work as foreign affairs chief anymore. No more foreign trips with the President as well. This includes the ASEAN Leaders Summit in Singapore and the Asia-Pacific Economic Cooperation (APEC) meeting in Papua New Guinea next month. Also set to wear a new hat is presidential chief legal counsel Salvador Panelo. He is preparing to be the chief of the soon-to-be-organized Office of the Press Secretary (OPS). It will replace the Presidential Communications Operations Office (PCOO) of Martin Andanar. Panelo is the President’s choice head of the OPS after presidential spokesman Harry Roque bares his plan to run for senator. Current officials of the PCOO are going tender their courtesy resignation to give Panelo a fresh start. Panelo is no stranger to the task of speaking for the President. It was he who had been facing the media before Roque’s appointment. His hosting the “tete-a-tete” with the President also draws speculations that he could soon become the Presidential spokesman. Cayetano’s sister, Pia Cayetano, currently occupies the Taguig City-Pateros, 2nd District Congress seat. It was his position in the Congress before. She is about to file her certificate of candidacy for senator in the mid-term elections. Taking turns is quite common among siblings in politics just like Gov. Imee Marcos who is running for senator in lieu of her brother, former senator Bongbong Marcos. Others may have to run against each other. Take the case of Makati’s Abby and Junjun Binay for mayor and Jinggoy Estrada and JV Ejercito for a senatorial seat. Just like the Binays in Makati, Maria Laarni Lopez Cayetano also known by her nickname Lani Cayetano is the former congresswoman and the incumbent mayor of Taguig City. She is the wife of the outgoing DFA Secretary who is proud of his achievements. However, working alongside a popular president gives the latter some pros and cons among avid voters. Especially when he was a rival to the President’s choice for his successor. Running for the Congress in his territory is the best that he could do to win a seat. 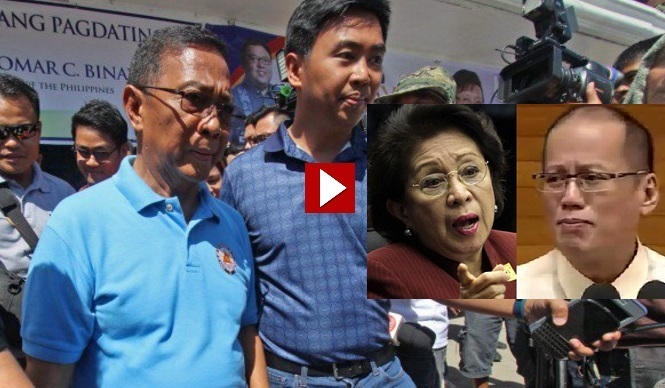 Former vice president Jejomar Binay Sr. and his son, “JunJun” are not surprised when Ombudsman Conchita Carpio Morales, an Aquino appointee filed criminal charges of graft and falsification of public documents charges against them. This is for the allegedly anomalous procurement in the construction of the P1.3-billion Makati Science High School Building. [VIDEO]: We find the strangest bed fellows in Philippine politics. 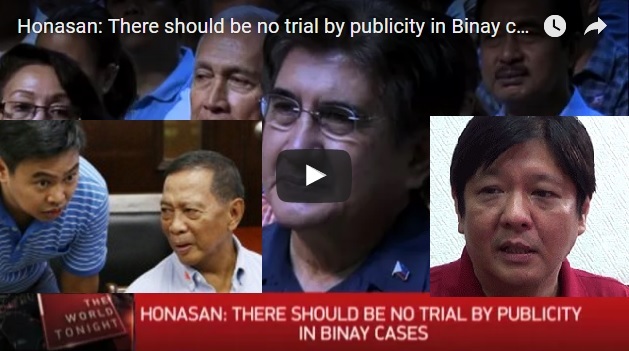 This report tells us about the curious case of Gringo Honasan and Jojo Binay. Morales confirmed her order to file criminal charges against the Binays for allegedly conspiring to rig the procurement of the 10-storey science high school building on Kalayaan Avenue in Makati. The younger Binay was ordered charged with four counts of violation of Section 3(e) of the anti-graft law, and three counts of Falsification. Binay’s spokesperson Joey Salgado said the Binays’ indictment came as no surprise. He accused the Ombudsman of launching a “witch hunt against them. This is just to continue the election campaign of the Ombudsman as a “tool” of the Liberal Party. She just intends to politically persecute the enemies of her party including the current President. 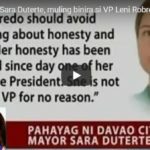 It is noted that Morales and Du30 are now having a war of words. Prior to the 2016 election, there was a confusion why Senator Gringo Honasan chose to run as Vice President with Binay as his Presidential candidate. Meanwhile, Honasan’s ally Senator Juan Ponce Enrile endorsed Bongbong Marcos as VP. It even got more complicated when the Binay-Honasan tandem promoted Marcos despite Honasan’s running for the same position. Now, it is evident that their common goal is to support the return of Ferdinand Marcos’ namesake. 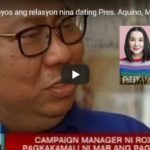 Relevant evidence gathered by the Marcos camp to support his electoral protest against Leni Robredo was from the Binay Camp through its initiator Pastor Boy Saycon. It is remembered that Saycon accompanied whistle blowers of the alleged digital fiasco of Smartmatic that implicates the Comelec into its connivance with the alleged election fraud in a Senate hearing. Former Vice President Jejomar Binay and wife Dra. Elenita Binay always looked happy to people who spot them in their Makati community recently or in photos posted in social media. They are unfazed by corruption scandals that discredit their family during elections. Senator Nancy Binay shared on Instagram a photo of her parents once during their past anniversary. They continue their tradition every Sunday to gather around the dinner table in the couple’s Makati residence. 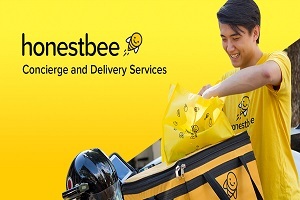 Something that many busy families are envious about today. 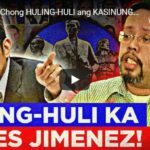 [VIDEO]: Eksklusibong nakapanayam ng Powerhouse ang dating pangalawang pinakamakapangyarihang tao sa Pilipinas, si Vice President Jejomar Binay. Silipin ang Asian Oriental-themed na tahanan ni VP Binay at alamin kung paano siya mag-relax. The United Nationalist Alliance policy party of Jojo Binay that vows to be the opposite of a lazy and inept Aquino government. It occupies most seats in the Makati local government. Binay denies the corruption allegations against him. Those are just the maneuvers of his rivals. In their desperate attempt to undermine his presidential bid last year. their real colors show. Jejomar Binay admits to having an extra-marital affair in the past that almost breaks his marriage to Dr. Elenita Binay. That affair has long been over. Even before he becomes Vice President. The issue is raised as a black propaganda when he initially leads the presidential poll in 2016. It also escalates when he endorses Bongbong Marcos as Vice President. His wife and family already forgive him. 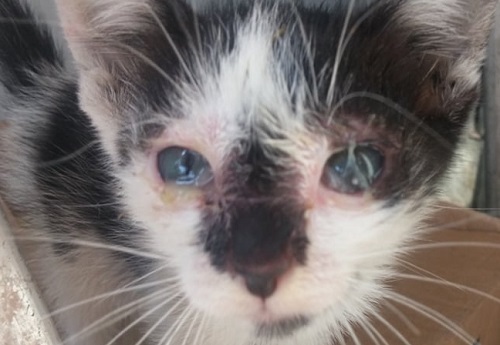 Like any other human being, he is not perfect and also commits mistakes, he said. 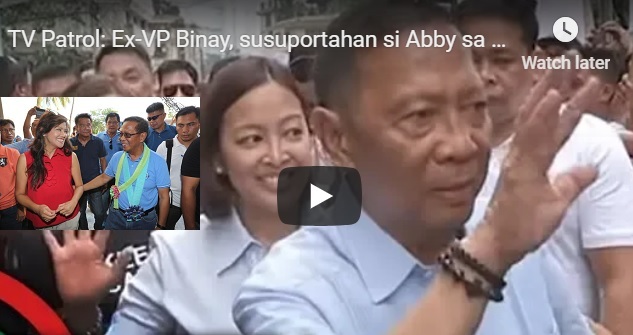 Binay can’t be concerned anymore on the judgment that his extra-marital affair is a reflection of his character as a public official – because he’s not anymore in office. All accusations especially the corruption cases are just politics. Once he enters politics, everything is public. He was prepared for that. Now both Jejomar and Elenita Binay enjoy the rewards of their efforts to genuinely serve the people and to nurture the family at the same time. Their cases can only be dismissed in due time. Politics are now handled by their children. Their role is upgraded into the consultancy level. They only do voluntary work when needed. Comfortable and happy life is already attained to the fullest. Though it is a belief that longer but blessed life is bestowed to those who continue to help the ones in need – such as the Binay!